Phone cameras are getting better than ever, and Samsung are trying to lead the market with the news of yet another 8 megapixel snapper. They’ve already released the Pixon and the INNOV8, so the Memoir adds another pony to their superior stable. And what a thoroughbred it is! 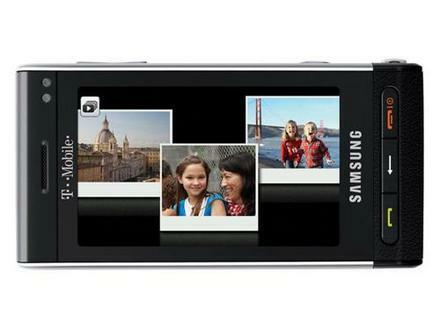 Sleek and stylish, you’re looking at a fully touch screen mobile, which combines a Xenon flash with a 16x digital zoom. Add to that a selection of scene modes, an auto focus button and a one click photo uploader, and you’re looking at something that turns your current digital camera into a relic. But it’s not just the snapping prowess you have to look forward to, as the phone also features a virtual QWERTY keyboard, 3G, A-GPS and Bluetooth. There’s no word on whether it uses a proprietary jack or not, but if it’s a 3.5mm I’m sold!